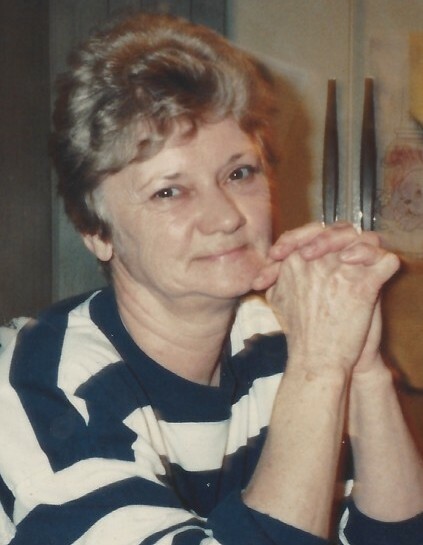 Obituary for Ethel L. (Sethman) Krasonic | James C. Stump Funeral Home Inc.
Ethel L. Krasonic, 83, of West Newton died Monday, January 14, 2019. Born in Greensburg on June 24, 1935, she was the daughter of the late Robert and Helen (Hails) Sethman. Ethel truly was a loving wife and mother. She was a West Newton Bible Student. She worked many years at D&A Auto Auction in Perryopolis and also lovingly cared for the residents at TLC Nursing Home in West Newton for many years. She is survived by her husband, Charles F. Krasonic; daughters, Susan (Terry) Cyktor of West Newton, Cindy (Terry) Pater of West Newton, Lisa (Jeff) Mlinek of West Newton and Kathy (Eric) Lundy of Rostraver; grandchildren, Kelly, Matthew, Chadwick, Jordan, Ian, Britany, Dylan, Hayden, Nicole and Jacob; great grandchildren, Jayce and Lincoln; brother, Kenneth (Barbara) Sethman of Connellsville and sister, Janice Cesare of Fayetteville, NC. In addition to her parents, she was preceded in death by siblings, William, Bud, Eileen, Harry and infant brother, James. A Memorial Service will be held on Sunday, January 20, 2019 at 1 p.m. in the James C. Stump Funeral Home Inc., 580 Circle Drive, Rostraver Township (724-929-7934) www.jamesstumpfuneralhome.com with private interment in West Newton Cemetery.